Club Penguin: How to Become a Water Ninja Cheats and Guide! To become a Water Ninja, you must battle against other penguins. You also need to be a black belt ninja. Some players who became Water Ninjas were also interested in how to become a Puffle Expert. Same thing; Each time you win, you will earn “points” to receive your the next item. You need these four items to be a complete Water Ninjas. 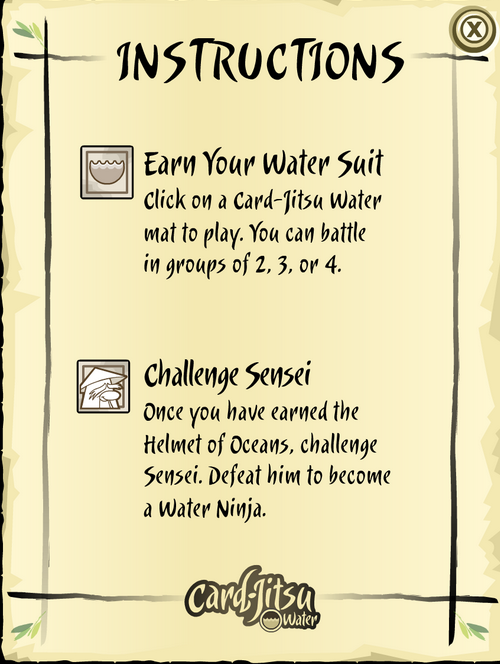 TIP: To earn items more quickly , talk to the Sensei and click “Earn your Water Suit”. 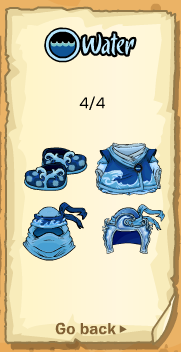 To earn each item, you must play Card Jitsu Water and win. So how does this work? You have to play card jitsu water! 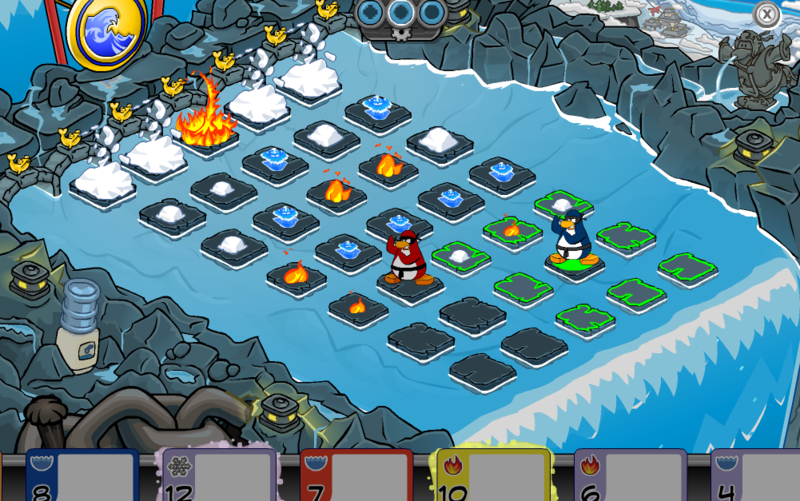 It’s almost the same as the original Card Jitsu, but a little different. First, talk to Sensei and click “Earn your suit”. In the picture above I am the blue penguin. To get to the next step I would have to choose a water card to make the fire disappear or use a fire card to make the snow disappear. You can choose either. Each time you win the game, you will receive “points” to unlock the next item and like that. Once you get every single item, it’s time that you challenge Sensei. It will take you a couple of times to bet Sensei, but once you bet him, you will receive the water jem. Sensei will place this jem on your medal and it looks awesome! NOTE: Put on your water ninja suit and dance with your friends to change the color of the sky! TRY IT! CONGRATULATIONS! 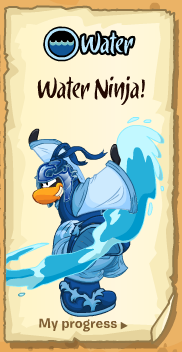 You are finally a Water Ninja! There are more adventures coming for you soon!